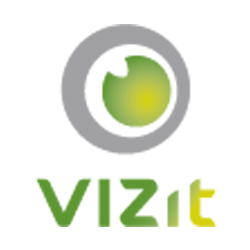 Workflow integration with Vizit social conversations. In-Document search returns more relevant results. Added a link to the conversation in Yammer post. Added the ability to update properties of documents with unsupported formats. Enhanced rendering of some PPT files. Added support for Managed Metadata fields to the List Search Web Part. Added support for Document Sets to the List Search Web part. Anonymous users can now create Social Footnotes. No longer shows Edit button in Property Editor when the document has been declared as a record. Error message shown when attempting to modify a document currently checked out by another user shows the "Checked-Out-By" user's name. Edit button is not shown for users with View-Only or Read permissions. Addressed an issue that could cause IE7 to report a Security Warning when using Essential on a site with HTTPS. Fixed an issue which prevented Property Editor from loading in some Alternate Access Mapped environments. Addressed an issue where the IIS process would fail when rendering certain XSLX files. Fixed an issue where Vizit could fail to load in search results if the file being opened was from a Site Collection that the user never navigated to, previously. Addressed an issue where the Managed Metadata dialog would show up behind Essential when in Full Screen mode. Addressed an issue with rendering certain MSG files in Pro. Fixed an issue which could cause Pro to fail when accessed via a search results page.